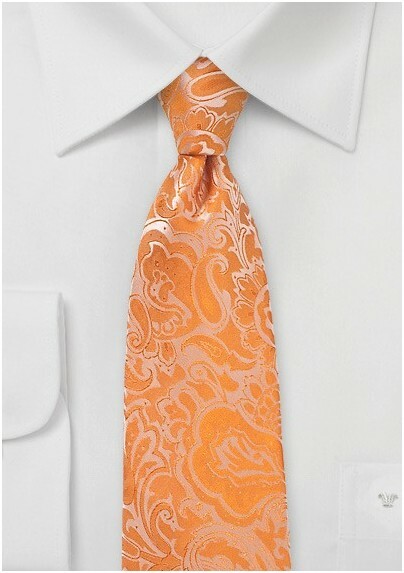 From the menswear designers at Puccini, this Floral Paisley Tie in Tangelo Tangerine is a stunning addition to any wedding guest's ensemble. 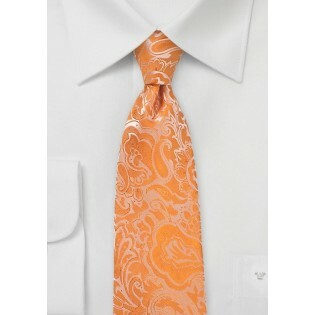 This popular wedding tie features a lovely paisley pattern in a bright orange hue woven from 100% microfiber. With a smooth texture and elegant shine, it looks and feels just like real silk but without the hefty price tag.